Church View is a detached house, tucked away off Church Street in Wells, which has been furnished and equipped to a very high standard in a contemporary coastal style. It has a attractive sitting room with wood-burner, new kitchen, 2 bedrooms, 2 bathrooms and gas-fired central heating, making this an extremely comfortable holiday home for 4 people to stay throughout the year. It is within a short walk of the picturesque quay and bustling town centre of Wells, with its great selection of shops, cafes, pubs and restaurants. There is a private courtyard garden and the advantage of off-street parking. Accessed via a gravelled driveway up to a 5-bar gate, through which there is a further shingled area leading up to the front porch. Reception Hall: Doors to Downstairs Bathroom, Kitchen, and stairs to First Floor. Sitting Room: Attractive light room with triple aspect windows, 3-seater and 2-seater sofas, armchair, side tables, wood-burning stove, flat screen TV, DVD player, patio doors onto terrace. Bathroom: Recessed ceiling lights, D-shaped bath with shower over and curved screen, wash hand basin, WC, heated ladder towel rail, extractor fan. Stairs to the first floor are not steep, and there is a handrail. There is a hairdryer in the cottage. Shower Room: Corner shower with jets, wash hand basin, WC, heated ladder towel rail. Bedroom 1: Beautifully presented with wrought iron king-size bed, bedside tables and lamps, dressing table, built-in wardrobe, chest of drawers, cheval mirror, wall-mounted TV. Bedroom 2: Twin beds with bedside table and lamp, built-in wardrobe, chest of drawers, TV and DVD player. There is off-street parking space at the front . At the rear of the house, there is a paved south-facing terrace running the full width of the house, accessed from both the kitchen and sitting room. There is an outside table with a parasol and 6 chairs, together with a gas barbecue. Guests should be aware that whilst this property will not accept bookings with pets it can not be guaranteed that pets have not been residence. All rooms are of decent size, a very welcoming feeling. Overalll excellent , would book again without hesitation. The kitchen facilities were great and the rooms all beautifully decorated. We really like the location and felt very at home and comfortable. It was our second time here and very satisfied. The property was very clean, comfortable, warm and well equipped with a well maintained garden. We would stay here again! We have stayed here before and it is just perfect we would not change a thing it has everything we need and is walking distance of everything in Wells. We will come back as we always have an excellent stay. Lovely cottage - very comfortable - clean. Wells is peaceful this time of year! Will be back. Another lovely week in Wells and fourth stay at Church View. Excellent and wifi is great. Enjoyed meals at The Victoria in Holkham and The Anchor at Morston. Hose very comfortable, suited our needs perfectly! Weather exceptionally clement. A restful and reviving week had by all. Would definitely consider booking this again. We&apos;ve enjoyed another good week in Wells and enjoyed staying at Church View (our first time!). Hopper bus service very good asnd reliable (most bus stops outside pubs!!) Had meals out at Red Lion Stiffkey and next door at Bowling Green. Both good, best to book in advance. Walsingham good for a day out. A beautiful house in a superb location. The boys were impressed with the wifi too!! Thank you. What a wonderful holiday cottage.. a real home from home. Everything so well thought out and beautiful interior. I really don&apos;t want to leave! Taking the little train to Wells Beach to go to the Beach Cafe and see the beach huts was fabulous. Also a day trip to Sheringham was a must do. We ate a lovely meal at the Crown Hotel (very kiddy friendly). We will definitely be back! Our third stay at Church View and another lovely week. Already booked for October! A great stay, lovely place to spend a week and felt immediately at home here! Enjoyed our 4 night stay at Church View! Back in May!! Wells-next-the Sea is the runaway winner of the first Sunday Times "Beach of the Year" award. 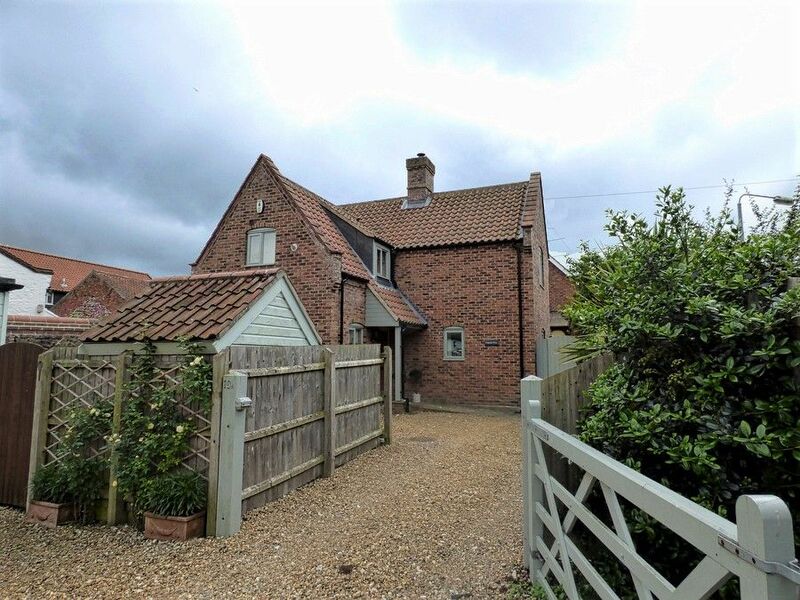 It's a delightful unspoilt historic town on the North Norfolk Coast with a jumble of old buildings and lanes still existing from its heritage as a port and former maltings industry. The picturesque quay and waterfront is still very much a working port with fishing boats still berthed in this small harbour and stalls selling locally caught shrimps, crabs and whelks. A popular place with sailors with many sailing and leisure craft here and local sailing tuition available. Children enjoy the facilities round the quay and the challenge of crabbing (gillying) from the steep harbour wall. The main shopping area of Wells is Staithe Street, a narrow, mostly pedestrianised lane with surviving Victorian and Edwardian shop fronts, that runs from the water's edge right up to the top part of town. In the centre of the town is The Buttlands which is a large rectangular green lined with Georgian and late Victorian houses, which used to be used for archery practise in medieval days. Now it is home to the excellent Crown hotel and restaurant which is run by Kiwi celebrity chef Chris Coubrough, as well as the popular The Globe Inn. The sandy beach flanked by pine forest is about a mile from the quay and can be reached by road, on foot along the causeway or via the miniature railway. Holkham Hall with its impressive 18th century Palladian architecture and 3,000 acre deer park is only a couple of miles away along the coast road. If you would like to see more of our holiday homes in and around the Norfolk coastal town of Wells-next-the-Sea, please click here.